Nina Buisson is an internationally acclaimed choreographer and dance educator who developed an original release- based and imagery-laden dance technique. Nina is an “excellence” scholar from the Princess Grace Academy of Classical Dance and has obtained her musical training from the Prince Rainier III Music Academy in Monaco. She holds a professional teaching diploma in ballet and modern dance from the Cultural Ministry of France, Aix en Provence. Nina Buisson has garnered critical plaudits and top prizes for her solo performance at numerous national dance competitions in France and Italy. Her inspiring choreography has been presented at renowned New York City venues: “The Best Of” at The Danny Kaye Play House at Hunter College, “Festival on the Pier” at Hudson River Park, The 10th Annual Asian Pacific American Heritage Festival, The American Theatre of Actors, The Latin USA Film Festival Party Extravaganza at Madison Square Garden, The International Dance Festival 2004 at Duke Theater on 42 St., The Dicapo Opera Theater in 2005, The Juilliard Senior Graduation Showcase 2005, La Mama Moves Dance Festival 2007 "Motion Makers,” The Motion Capture Lab held at the Steinhardt School of Education at New York University, HERE Art Center, and at White Wave 2007 Dumbo Dance Festival, The Joyce Soho Theater in 2007, Jennifer Muller’s the Hatch in 2008, and at The Judson Memorial Church for the “Avant-Garde Festival” in the summer of 2009. 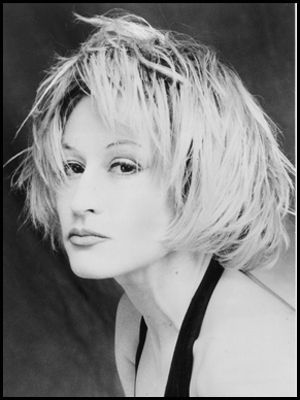 Outside of New York, Nina has choreographed for: Bollywood Film & Music Awards Show in Atlantic City; Elan Awards at the Fashion Institute of Technology’01, ’02, ’03 & ’05; InSync Dance Theater at Hope College in Michigan; Freespace Dance Company at Montclair State University in New Jersey; Houston Metropolitan Dance Company; Christopher Huggins & Philadelphia School of Dance Arts. Nina has taught all over the world in countries including France, Italy, Spain, Sweden, Mexico, and the U.S. Most notably, she has taught a company class with LE CIRQUE DU SOLEIL during the New York tour for the show "DELIRIUM" at Madison Square Garden. In the winter of 2010 Nina travelled to Brazil, Spain and France with the aquatic show “Paraddax Water” where she performed as an aquatic dancer. Concurrently, she conducted workshops in Italy with the International Workshop Series “Yes You Can Dance”. In addition to Nina’s ballet and modern proficiency, she is also trained in Yoga, Butoh and Tai- Chi. She holds a certificate in “Yoga & Holistic Eastern and Western Therapy” from the “Qi- Yo Universal Holistic Center” in NY, where she has been studying Integral Yoga with Antonia Katrandjieva and teaching Essential Stretch and Contemporary Dance for the past four years. Nina is currently completing her post-graduate studies in Physical Therapy and Dance Movement. She lives in New York City where she is on faculty at Peridance Capezio Center, Qi-Yo Holistic Center, Ballet Arts at City Center and The Valentina Kozlova Dance Conservatory. Stretch: Essential Stretch: This Yoga based stretch class is excellent for gaining flexibility and general body awareness. The class is conducted in a calm meditative atmosphere, which is created by the dynamic yet relaxing effects of breath awareness. Students are encouraged to turn their attention inward while concentrating on a comprehensive series of exercises. A strong emphasis is placed on lengthening the hip flexors and expanding the spine so as to promote healthy alignment.